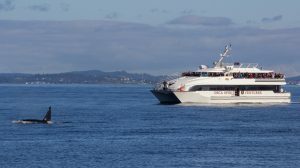 The waters surrounding Victoria are an exciting place to go whale watching because there are so many different types of wildlife that call this region home. People from around the world flock to this area, excited to have an opportunity to see the greatest predator in the world’s oceans- the killer whale! 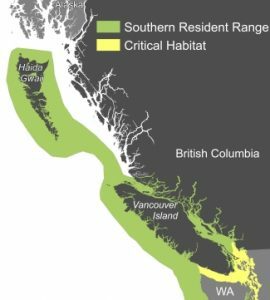 It often comes as a surprise to many people that there are actually different types of killer whales that inhabit the world’s oceans and two types frequently spend time in the Salish Sea around Victoria. These different kinds of killer whales are called ecotypes and they differ in many aspects including the types of foods they eat, their social structures, languages, behaviors, home ranges and even in the way that they look. 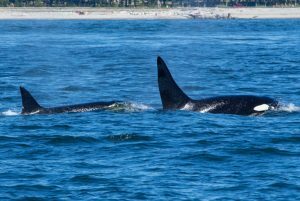 Around Victoria, the two different ecotypes of killer whales that you may see on a whale watching tour are known as the Southern Residents and the Transients or Bigg’s killer whales. Each population is genetically unique and they do not mate with one another. In fact, genetic evidence has revealed that the Transient and Resident orca populations have not shared a common ancestor for at least 750,000 years! Killer whales are the only known species to have genetically segregated populations due to social and cultural differences and not because they are separated by a geographical barrier. In fact, Resident and Transient orcas can be seen in relative close proximity but they will never engage in social interactions. 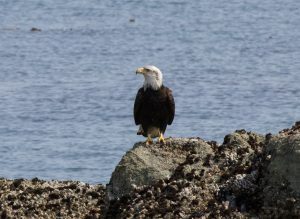 Different diets are a major distinguishing characteristic between the two types of orcas found off the southwest coast of Vancouver Island. Southern Residents eat fish and a small amount of squid. 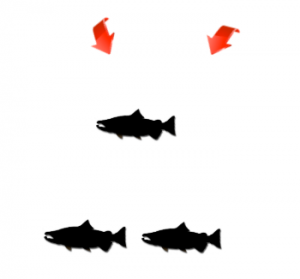 They are selective however with salmon and in particular Chinook, making up about 90% of their diet. Specializing on Chinook makes sense when one considers that they are the largest and fattiest of the salmon species- the orcas get the best “bang for their buck” by eating Chinook. Transient or Bigg’s killer whales, on the other hand, are the mammal hunters. 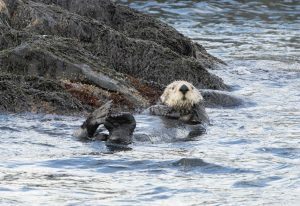 They have evolved to be excellent predators of seals, porpoises, sea lions, dolphins and even other species of whales. Different killer whale populations have evolved to be expert predators on different types of prey, which reduces competition between the populations and allows them to utilize the various species of prey that their environment provides. Southern Residents are a small population divided into three pods known as J,K and L. These pods are made up of multiple related matrilines that are more closely related to each other than they are to matrilines of the other pods. All the pods socialize with each other and mating occurs between the pods. When you are born into a Resident pod, you will remain with your mother and extended family for the rest of your life whether you are male or female. This creates large family units and very tight bonds between members. Figure 2: An example of matrilines within the Southern Resident population’s K-pod. 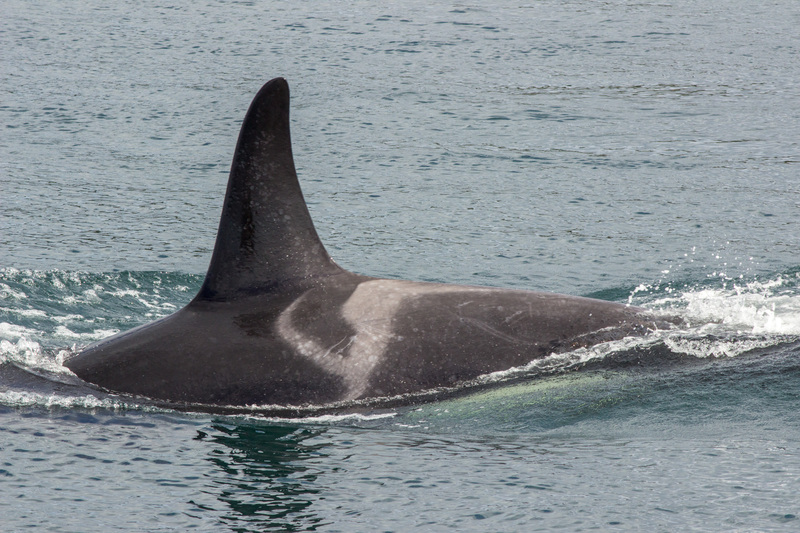 Photo credit: Center for Whale Research Southern Resident Killer Whale ID Guide 2014. The social structure of transient orcas is a bit looser than that of their fish-eating cousins. 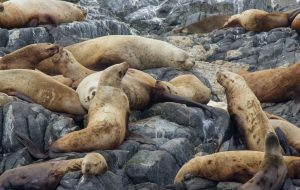 Because Transients hunt mammals who have keen senses to detect their predators, they can’t travel around in huge groups because their prey would easily detect them. 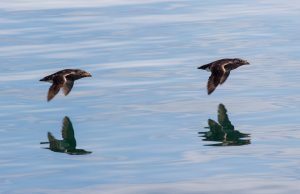 Instead, they travel in matrilines- a female and her offspring. If the family unit becomes too big and their hunting success starts to decrease, adult daughters and any offspring they may have to tend to split off first. If there are no adult daughters, then the oldest son in the group will part ways from the family unit, but males tend to try to remain close to their mothers for life. 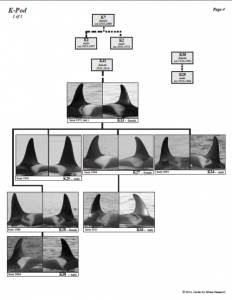 Figure 3: An example of matrilines within the Transient killer whale population. 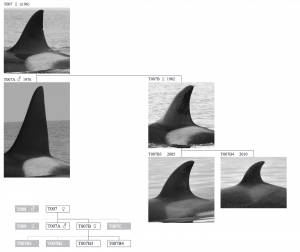 Source: Photo-identification Catalogue of Bigg’s (Transient) Killer Whales From Coastal Waters of British Columbia, Northern Washington, and Southern Alaska. 2012. Resident and transient killer whales do look slightly different from each other, but it takes a trained eye to pick out the differences quickly. 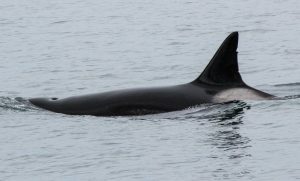 Marine naturalists and scientists are often able to identify which ecotype they are watching within a few minutes of spotting the orcas. Transient killer whales are slightly longer and heavier than Resident killer whales, but this is hard to identify on the water. What is more obvious is the tendency for Transient orcas to have a sharply pointed tip to their dorsal fin whereas Residents have a more rounded tip to theirs. All killer whales have what is called a saddle patch on their back, which is a greyish-white area just behind and extending below their dorsal fin. 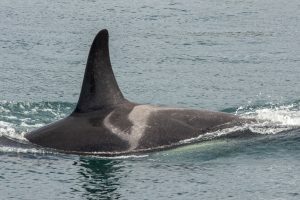 The saddle patches of Transient orcas are always solid or closed whereas the Residents can have either a closed saddle patch or one that has some sort of black shape in it, which is called an open saddle patch. 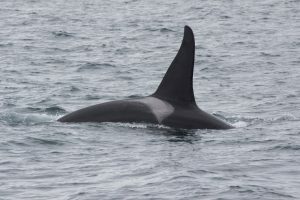 The unique shapes of their dorsal fins and saddle patches are the characteristics used to identify individual orcas all over the world. 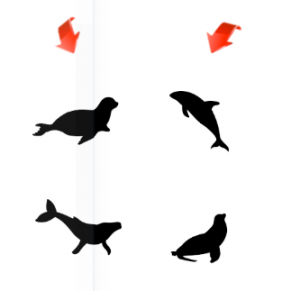 Making identification more challenging is the fact that the saddle patch is not necessarily a mirror image of itself on either side of an orca’s back and can actually be quite different from one side to the other. 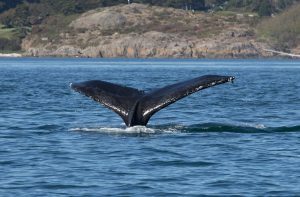 You need to memorize two saddle patches per whale to become an expert at identifying the whales! Another very important distinction between the mammal hunters and the fish eaters is their vocalizations. Every population of killer whales has its own distinct set of calls that are not used or understood by other populations of orcas. The three pods of the of the Southern Resident community all speak the same language, but each pod has its own unique dialect of that language. Some calls are unique to each pod and even to each matriline. Calls are learned and passed down from one generation to the next. 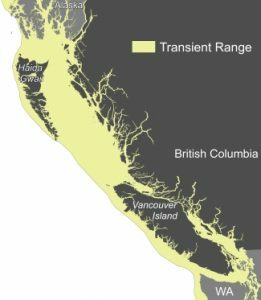 Transient orcas along the entire coast of British Columbia all use a distinctive set of calls, with some additional calls that can be specific to a region. 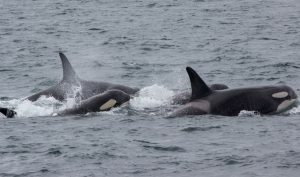 The vocalizations of the different populations of killer whales are very distinct and can be used to identify which orcas and even which matrilines are present in a given area. Have a listen! As we spend more and more time with the different ecotypes of killer whales, we expand our knowledge and understanding of their differences. Orcas are dynamic, intelligent creatures who have evolved over millennia, developing socially and ecologically diverse populations. We continue to learn from them and our fascination with their lives and families grows every day.